Improve Your Structural Integrity and Be Pain FREE! Someone who struggles with pain management and/or recurrent injury. A health care professional who treats other people for back pain from conditions like scoliosis. A coach or trainer trying to get the best out of your clients without injury. 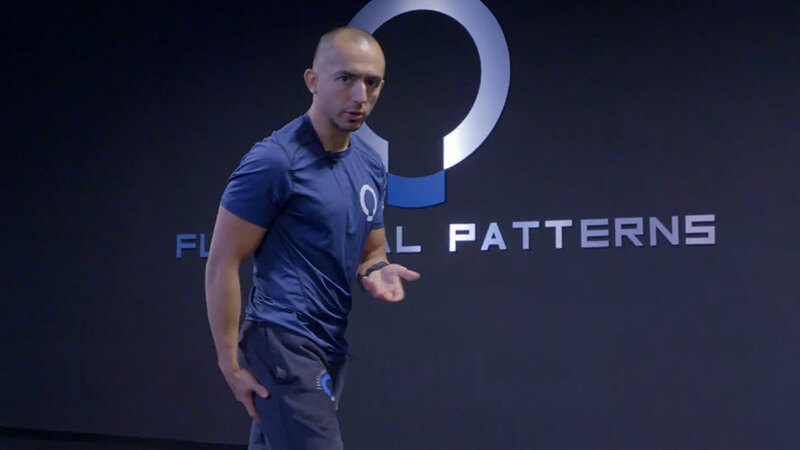 The 10-week online course from Functional Patterns can help you address issues of the musculoskeletal system. It does this by reverse engineering the way that the brain connects to the body and understanding how human beings evolved in nature. This course represents a fundamental change in our culture, specifically with regard to how we view our body in space, but also in terms of our understanding of why humans evolved in nature the way they did. Scapular depression and winging, shoulder protraction, “S” spinal curvature, ribcage and spinal compression, trunk rotation to the right. Improved scapular positioning, decompression of ribcage and spine (increased length and space between ribs and hips), decreased “S” spinal curvature, less trunk rotation to the right. Will return for a 4th visit in 5 weeks. If you are a patient with chronic joint or back pain stemming from scoliosis or similar conditions, and conventional approaches to pain management and rehabilitation have not been successful, our course could be the solution you’ve been seeking for years. Personal Trainers: Help your clients move like athletes. Strength Coaches: Avoid joint injury while optimizing performance. Physical Therapists: Transition patients to better movement. This course also includes required learning material for those who want to achieve full Functional Patterns certification. The 10-week course focuses on eliminating asymmetry in your musculoskeletal system, related to factors like scoliosis and poor posture. It does this with an eye toward better pain management, prevention of injury, and correction of musculoskeletal issues. Your resilience to the daily demands you make on your body is determined by your objective quality of movement. Despite the cultural perception that your bones and joints are supposed to stack on top of one another, it is actually the muscles, tendons, ligaments, and other soft tissues that govern the way you move, rather than your bones. Part of the goal of our 10-week online course is to help maximize the function of those tissues. This can result in better bone alignment and prevention of injury because your soft tissues are better able to absorb the pressure from falls, blows, or impacts. You will also find out how we developed the ideas behind Functional Patterns from the natural world and learn more about the four primal patterns of movement: running, standing, walking, and throwing, and how the concept of tensegrity applies to the human body. In this week, we will be attacking some basic myofascial release points to establish a base level of fascia mobility. It is fundamental that we mobilize before exercising tissues and modifying your structure. Furthermore, the more myofascial restrictions we can address, the easier it will be to fire the muscles necessary to improve your movement and change your posture at an intrinsic level. This will be a continuation of the fascia releases we did last week. If you spent a good week or two attacking your fascia distortions, your body should be ready for these new ones. This will be the last section of myofascial release we will have available in this program. After this week we will move on into exercising your muscles. It is important to consider that myofascial release will likely be around for a while, until you figure out your deficiencies. Truly addressing distortions in the fabric of your body is near impossible at this stage in our understanding of the human body, so myofascial release will be the eraser to the mistakes you will make in the corrective exercise phase of training. Use it frequently and it will be the backup plan for the days you feel a bit off. The material for this week will cover muscle functions and posture. This is likely the most important week of them all, because this will set the tone for your application in future exercises. You will learn the importance of a neutral spine in this section. Although you will not always find yourself with a completely straight spine in all scenarios in life, it is important to more or less connect to your neutral for the purpose of building tension on your body in other positions. This is not one section you want to rush through. Be sure to dial your posture in before approaching the following weeks. This may take at least 2 to 3 weeks to figure out, depending on the problems you have with your body. This week our emphasis on training will orient around the core musculature. We will try to pin down the deepest kind of core tension, orienting our muscle activity from the transverse abdominis. Pay close attention to the cueing on this video as it is very easy to misfire muscles during these exercises. 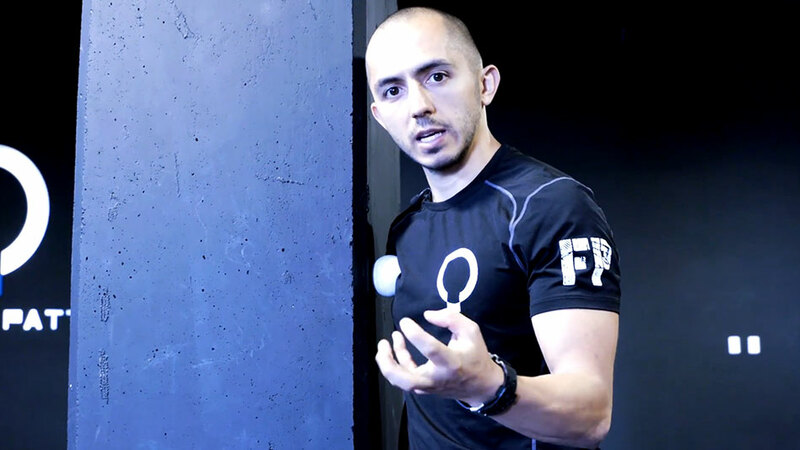 The more spot on you are with your techniques, the more translatable those results will be when you perform fully integrated movement in the future. Don’t forget to get on your MFR (myofascial release). These exercises, like all exercises, carry imperfections and the releases will balance out the variables we are not addressing. Let’s build some thoracic spine extension!!! The Thoracic spine is a pivotal area on the body with regard to stability and rotation. We will be covering some aggressive exercises to help build a better thoracic extension. Coupled with the exercises, we will also employ strategies to improve the function of your breathing. For this week, we will be attacking the Gluteus Maximus and Hamstrings. The goal for this video is to prime the pelvic region in a way that will set you up for week 8. Week 8 will have us integrating the upper and lower body and the techniques here will establish a base for this to happen. Let’s connect the upper and lower body! One of the most important ways that the body connects is through contralateral muscle reciprocations. If you are intimidated by those words, it’s how the body works as an X. Upper portions of the X being your arms, lower portions being your legs. This is moving on into the world of applied corrective exercise. Some thoroughly exciting stuff. The emphasis will be the integration of your Posterior Oblique Slings. You should notice immense changes in your structure after week 8. Let’s continue to connect the upper and lower body. This will be similar to last week’s techniques. The only difference being that we will attack the anterior oblique slings. This will surely activate your core in a way that you may never thought it could be activated!! This is the final week and things definitely heat up here! At this stage, your body should have a base to move competently in basic movement scenarios. You have engaged the structures in a way that will protect you when you approach a dynamic environment. The techniques here will help you apply this into movement. You will also learn the function of running and walking here as those are likely the most functional types of movement for human beings. You access the course by making a purchase through our website. At checkout, you will receive an email to the default address associated with your account. The course materials are all available online, with no physical products shipped to you, and the login information you receive will provide instant and unlimited access to the streaming videos on your device.